Skhidnytsia is one of the finest balneological (health-improving) resorts in Lvivska oblast, situated in the Carpathian valley 100 km away from Lviv and 20 km from Truskavets. Wonderful nature, pure air and the healing properties of mineral waters, that have no parallels in Europe, have transformed this resort into a most haunted mecca for those who come here in order to mend health and restore physical powers. Skhidnytsia bears the name of the Stotsky Ukrainian balneological resort. This is a small urban settlement with the population of 2500 people that hosts various resorts, guest houses, private hotels and health-improving centres, offering recreation opportunities to everyone’s taste. Resort unique location, perfect landscapes, mild climate, pure air, rich in fir tree ether resin, pines and miscellaneous mountainous herbs are a perfect prerequisite for a good recreation in Skhidnitsa at any season of the year. Hence the reason it is called a “Ukrainian Switzerland”. The resort has a well-developed tourist infrastructure and customers services. When preparing yourselves for recreation in Skhidnytsia, you may be sure that not only will you restore health but also gain a sea of pleasant impressions.This place is famous for a variety of beautiful and interesting places to have a walk in; various excursions and other entertainment events being held. The settlement has quite a number of restaurants, cafes with diverse cuisine that offer wonderful dishes, pleasant music, thematic evenings and many other things. There are a number of ski centres situated not far from Skhidnitsa, with Borislav being 10 km, Slavkoe 60 km and Tisovets 65 km away from the medical resort. There you can have a good time skiing or snowboarding. The first record of Skhidnitsa dates back to the 14-th century. 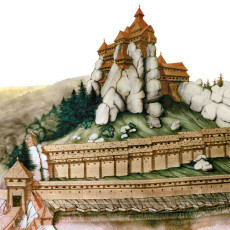 According to the documents, the settlement emerged in the 11-12-th century where Kievan Rus’ “Golden Bath” used to be situated not far from the Tustan fortress. According to a legend, the survivors to have withstood the onslaught of conquerors started returning to the valley and erecting houses. 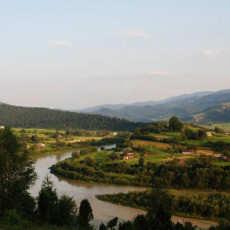 The settlement was named “Skhidnitsa” which means to converge. What gave Skhidnitsa its fame was the discovery of oil back in 1858, with industrial oil production given a startup in 1872. As of 1890s Skhidnitsa was the biggest oil producer of Galychyna. Skhidnitsa was the first place ever to have an oil well drilled mechanically. However, it was a century later that the place gained a true popularity thanks to the discovered mineral water springs the healing properties of which are applied for treating the majority of deceases and organs dysfunction. In 1976, Skhidnitsa was awarded the title of the Stotsky balneological resort in honour of the pioneer of the region’s healing mineral waters. In 2005, it was renamed the all-Ukrainian Stotsky resort. Besides, the 1998 presidential edict for the Development of Skhidnytsia Resort made it the all-Ukrainian children’s sanatorium.